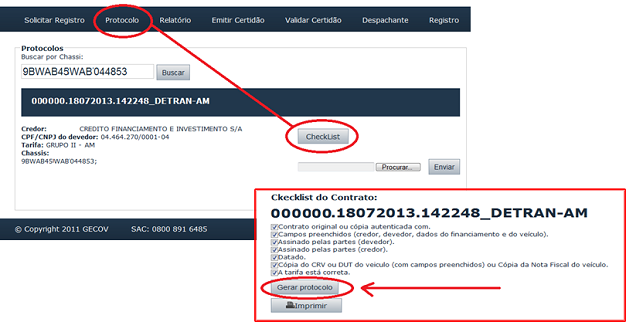 Arquivo Digital – ArqDigital provides a service to the Brazilian State Department of Transit (DETRAN AM and DETRAN PA) by managing contracts for vehicle financing to comply with the CONTRAN – National Council of Transit standards. Here is how Laserfiche Workflow, Laserfiche Web Access, Laserfiche SDK, and the Laserfiche-SharePoint Integration play a key role in streamlining this contract management process. When an institution or financial agent signs a contract with someone who wants to finance a vehicle, the contract and all the required documentation is sent to Arquivo Digital– ArqDigital. 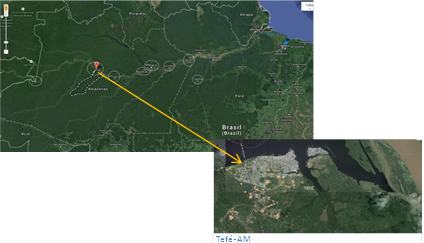 In order to receive these contracts, Arquivo Digital – ArqDigital established offices in several cities in the Brazil states of Amazonas and Pará, including locations within the Amazon jungle such as Tefé- AM city, where access is only by air or boat. 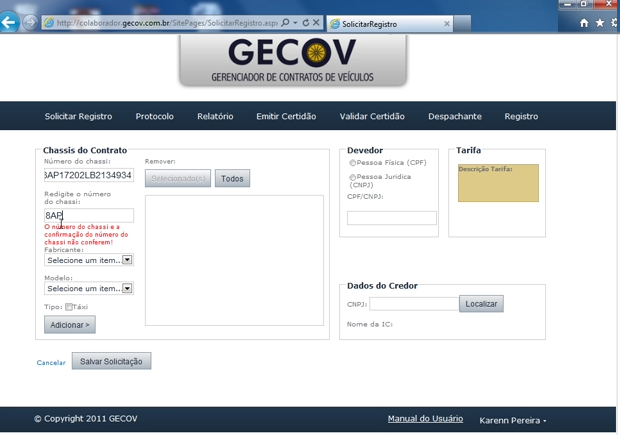 The financial agent or an employee at Arquivo Digital creates a new Registry Request (Solicitação de Registro – SR) in a Microsoft SharePoint system called GECOV which is designed specifically to manage vehicle contracts. When the physical contract is received by Arquivo Digital an employee verifies that all required documents pertaining to the registration have been delivered by checking them off a list accessed through the “Protocol” tab. After the required items are checked off and the checklist submitted, a new window is opened to start the process of contract registration. 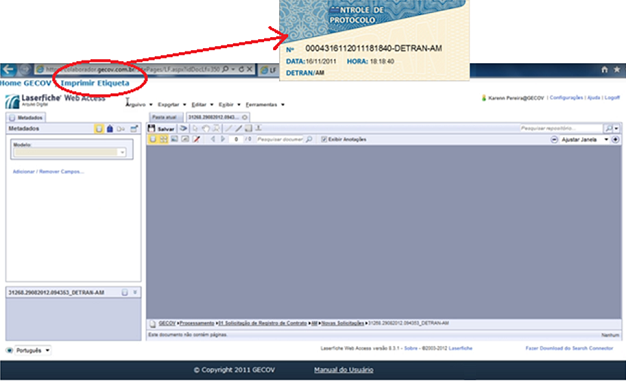 The employee clicks the “Gerar Protocolo” button and a corresponding document (without pages) is created in Laserfiche. Laserfiche Workflow assigns a template, populates certain metadata and moves the blank document to a dedicated volume. The employee opens the empty document in Laserfiche Web Access directly from GECOV. He clicks a link to print a safety seal which is then glued to the physical contract. The employee scans the contract and additional documents and manually fills in the remaining metadata. 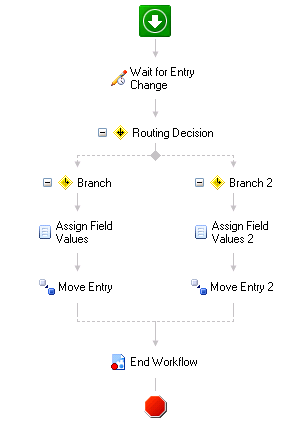 Laserfiche Workflow routes the contract to the quality control (QC) team. The QC team checks the quality of the scanned images and the metadata for consistency and for conformance of the contract with Brazilian legislation. All data that is updated during the QC process is synchronized between Laserfiche and GECOV through the Laserfiche – GECOV integration. 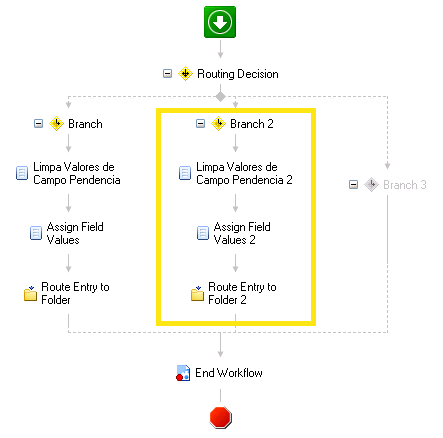 If the QC finds some inconsistencies in the contract, Laserfiche Workflow routes the document to the “PENDENCIA” (Pending) folder and sends an email to the financial institution who submitted the contract asking them to make corrections. Once the contract is approved by QC Laserfiche Workflow moves it to the “REGISTRO” folder. At this stage, the contract is converted to PDF with Digital Document Signer integrated with Laserfiche. This integration signs the documents following the standard of ICP Brazil and generates signed PDF files with the associated metadata maintained. A batch of the signed contracts is exported in TIFF format onto a network drive, where the documents are microfilmed electronically and the metadata is exported in text format to create a registry data book. All this is done to comply with Brazilian legislation. Contracts can be accessed from remote offices as far away as the Amazon rainforest either directly in Laserfiche Web Access or through the GECOV portal. 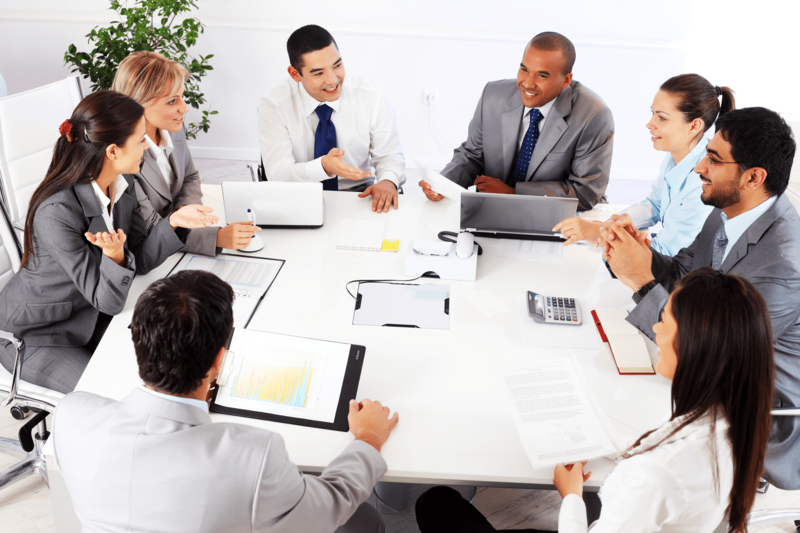 Contracts are processed quickly, efficiently and securely. The Laserfiche-SharePoint Integration allows documents to be scanned at different geographical locations and information to be shared between the various remote offices. 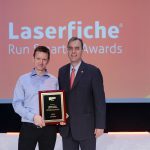 Laserfiche’s open architecture allows for easy integration with various systems, enabling the firm to process contracts in compliance with Brazilian law.